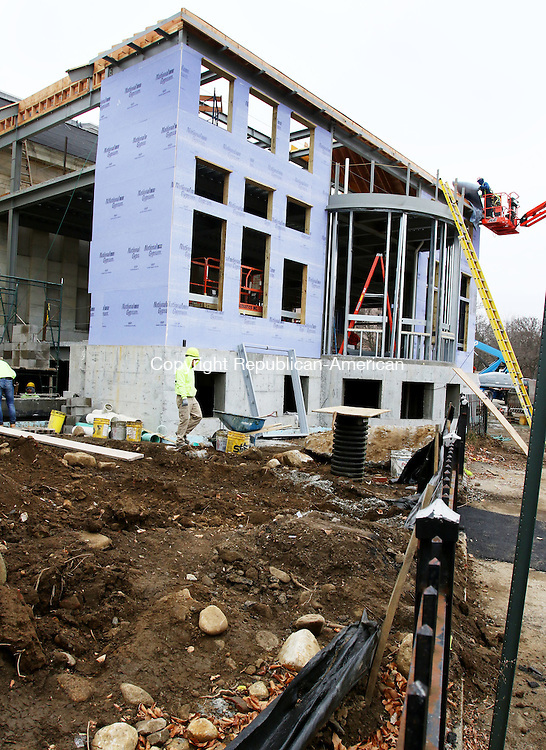 TORRINGTON CT. 01 DECEMBER 2015-120115SV02-Construction continues at the Library in Torrington Tuesday. Workers begun construction in July and is the library's first addition to the Daycoeton Place building since 1926. The addition will add 13,377-square-feet to the facility and, once finished, will be more than 30,000 square feet. Burlington Construction is the general contractor in the $5.7 million project. The addition will add space for more public computer terminals and expand the children's room.